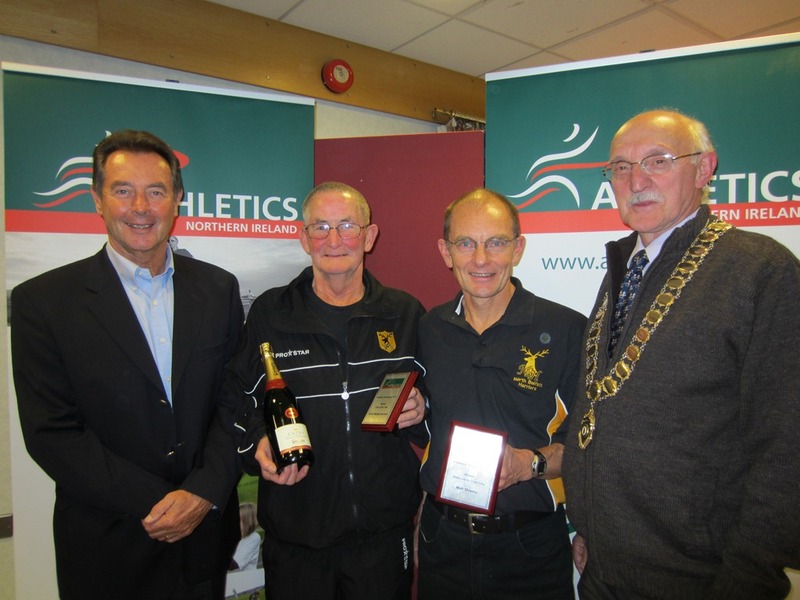 North Belfast Harriers (NBH) have scooped the coveted Club of the Year Award from Athletics Northern Ireland. Club Chairperson Matt Shields was honoured with the Services to Coaching Award. 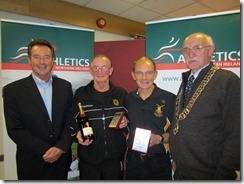 They accepted their awards at a special presentation at Athletics House in Belfast on 19 October. 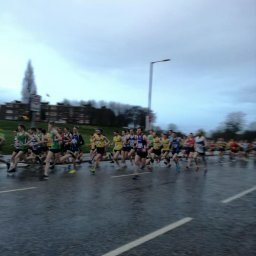 In the past year NBH started the popular Park Run in the Waterworks, the first event of its kind in Northern Ireland. NBH also became the first club in Northern Ireland to achieve Belfast City Council’s Club Mark. This included a rigorous auditing process that ensured all coaches have been trained in child protection and first aid, and have had AccessNI checks. 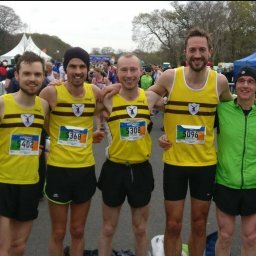 NBH also became an Athletics Northern Ireland/McCain Network Host Club. This means that NBH coaches, volunteers and athletes assist other local clubs in areas such as fundamentals and good practice. This includes sharing resources, venues, and training sessions several times per month, as well as sharing coaching and development information. 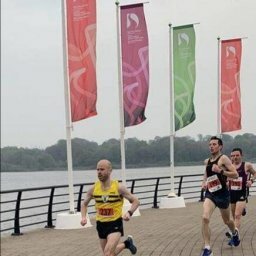 In addition, NBH supported the Belfast City Marathon, providing pace makers for 3 hours, 3.15, 3.30, 3.45 and 4 hours. NBH has also worked hard to improve its services for junior athletes. The club secured access for juniors at the outstanding facilities at the Boys Model School and the University of Ulster in Jordanstown and started free interclub competitions for primary and secondary school children. NBH shares its clubhouse on Old Park Terrace with other local groups, such as a senior citizens table tennis team and Irish dancers. In October, NBH achieved registered charity status, which allows it to manage its clubhouse and other resources more effectively. As a result of these efforts membership has increased from 140 to 170, and about 20 athletes (unattached or from other clubs) regularly attend NBH sessions. Matt Shields is an exceptional coach. He exudes a positive, calm & methodical approach to the running careers of a multitude. Under Matt’s leadership in 2011, athletes have achieved county, national & international titles. However, Matt has as much time for an Olympic hopeful as for a young boy/girl coming to the club for the first time. As coach, his knowledge of running & willingness to share it is legendary. His dedication to the sport & NBH is unquestioned. Matt is always open to new ideas, techniques & approaches listening to the runner, encouraging them to learn about running & to train smart. Matt’s primary concern is seeing people realise their potential. This is why he led on establishing & continues to ensure the ongoing success & development of The Park Run. Matt never seeks publicity/praise & he will never promote. We think he deserves it! Recognition of Matt’s services to coaching by NI Athletics would be an affirmation of the esteem in which he is held at the highest level of the sport here. Good athletes need talent but they also need good coaches. Forget Alberto Salazar. In Matt Shields we have one of the best.